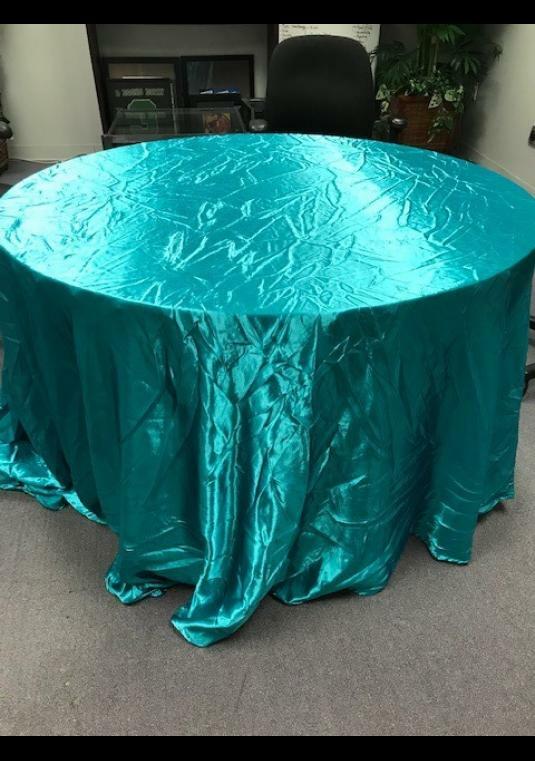 6 used satin teal table linens, 120in. round in very good condition. Used in the Celebrate Fairfax! festival. Must be sold as a bundle. Ironing required.